1/3 S is on the first floor. 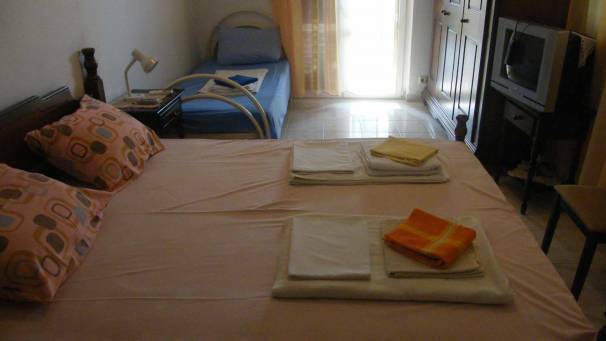 Studio has double bed and single bed, kitchen, bathroom and shared balcony. Size: 20m2.